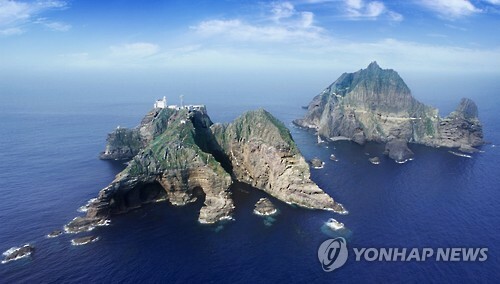 SEOUL/TOKYO, April 25 (Yonhap) — South Korea expressed a “strong complaint” Tuesday after Japan renewed its territorial claim to the South Korean islets of Dokdo in its latest diplomatic policy report submitted to the cabinet. 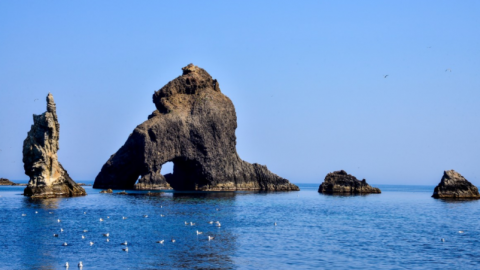 Earlier in the day, Japan claimed in the 2017 “blue book” the set of islets in the East Sea is Japanese territory historically and by international law and condemned South Korean lawmakers’ visit there last year. 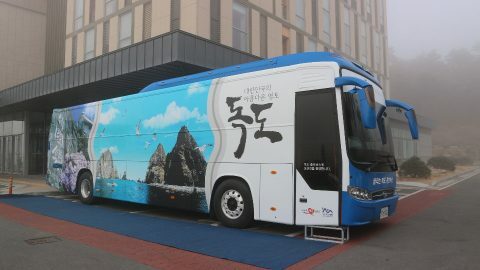 “The (South Korea) government strongly protests the Japanese government’s reiteration in the diplomatic blue book of its unjust territorial claim to Dokdo which is clearly our own territory historically, geographically and by international law and calls for its immediate withdrawal,” the South Korean Ministry of Foreign Affairs said in a statement. Later in the day, the ministry summoned Hideo Suzuki, minister at the Japanese Embassy in Seoul, and lodged a formal protest. 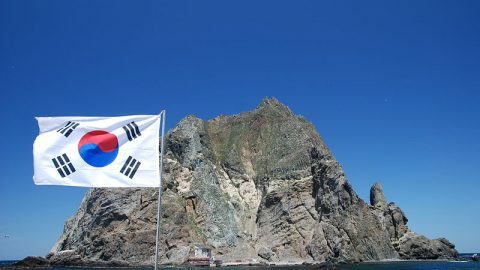 Dokdo, which lies about halfway between South Korea and Japan, is under the jurisdiction of South Korea. 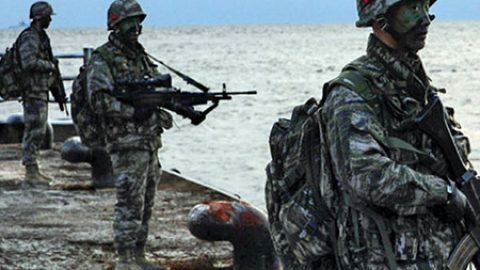 Tokyo’s territorial claim to the outcroppings is one of the recurring diplomatic feuds stemming from Japan’s previous colonial control of Korea. 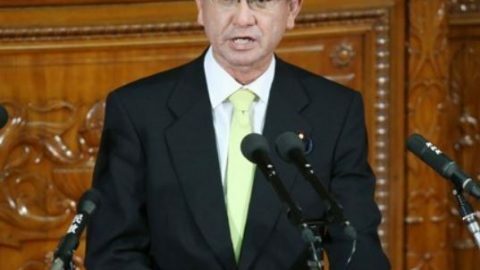 The 2017 blue book came just weeks after Japanese Ambassador to South Korea Yasumasa Nagamine returned to Seoul on April 4 after leaving the country in protest over a South Korean civic group’s installation of a statue symbolic of Korean victims of Japan’s wartime sexual enslavement. The blue book also laid out Japan’s “deep displeasure” over the installment of the girl statue in front of the Japanese diplomatic mission in the South Korean port city of Busan last year. 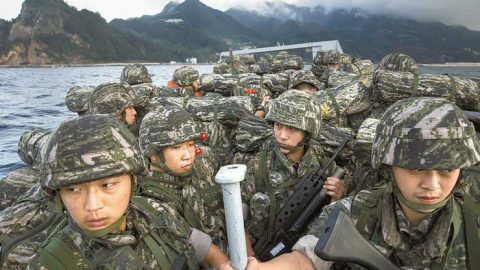 The paper called on Seoul to follow through with the 2015 bilateral deal to settle the history dispute involving the imperial Japanese Army’s sexual enslavement of Korean women during its colonial control of the Korean Peninsula from 1910-45. “It is an obligation toward the international community to implement this with a sense of responsibility,” it noted. Under the settlement deal signed in December 2015, Japan provided a relief fund of 1 billion yen (US$9.1 million) for South Korean victims. But critics have accused the deal of lacking any prior consultation with the victims as well as Japan’s sincere apology and acknowledgment of its legal responsibility. 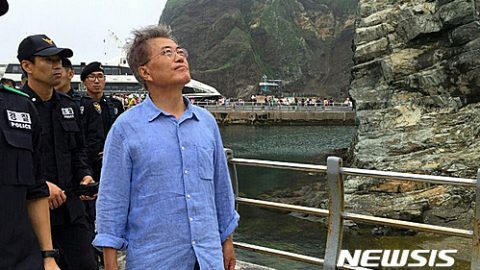 Presidential front-runner Moon Jae-in has campaigned to nullify the deal if he wins the presidency.